grouser (Ludlow, United Kingdom) on 30 March 2014 in Architecture. Avec les personnages quelle entrée et vue sueprbe compo. beautiful composition, tone, lighting & atmosphere! 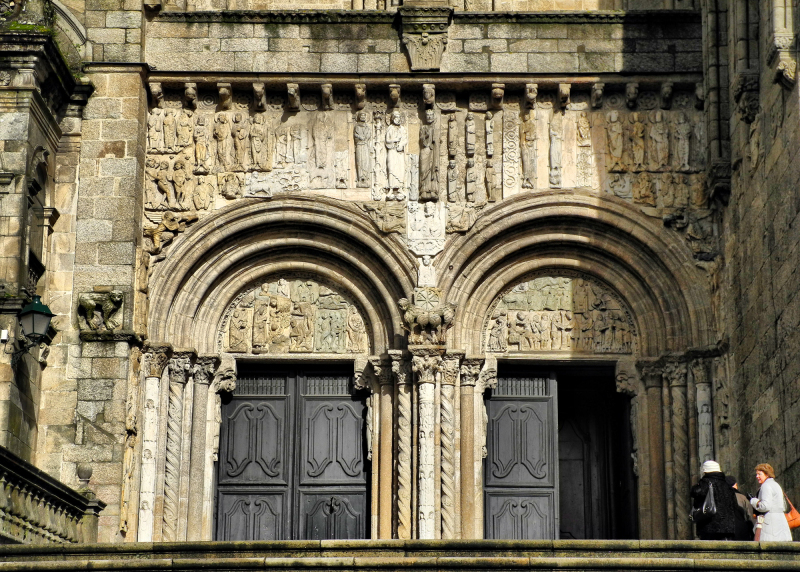 A beautiful view of the side entrance of the Cathedral, the sculptures are beautiful. Excellent photo with beautiful light. Excellent framing. Wonderful capture of the beautiful entrance. A fine shot of the elaborate stone work on this doorway. I like the symmetry - the light is perfect to appreciate all of the carvings. Awesome! I love it the POV!